Situated amidst Garhwal Himalayan Ranges with a splattering of rivers across it, Kedarnath and Badrinath make for resplendent sights and spiritual ambiance up above. 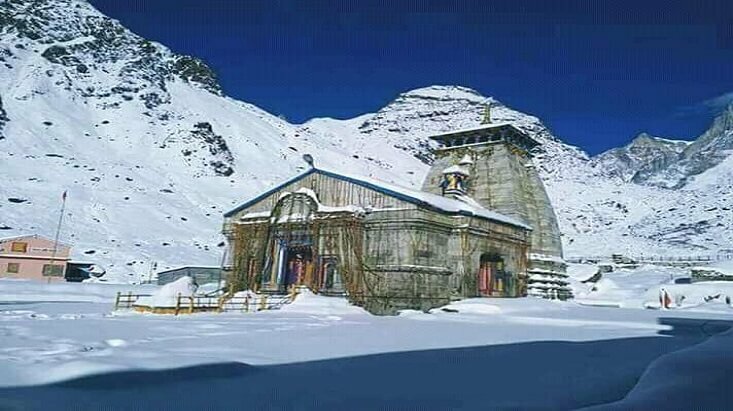 Kedarnath (3553 m) is one of the highly-significant religious pilgrimages in India located in Rudraprayag district, that holds a great importance amongst other divine places of Char Dham, Panch Kedar, and 12 Jyotirlinga. 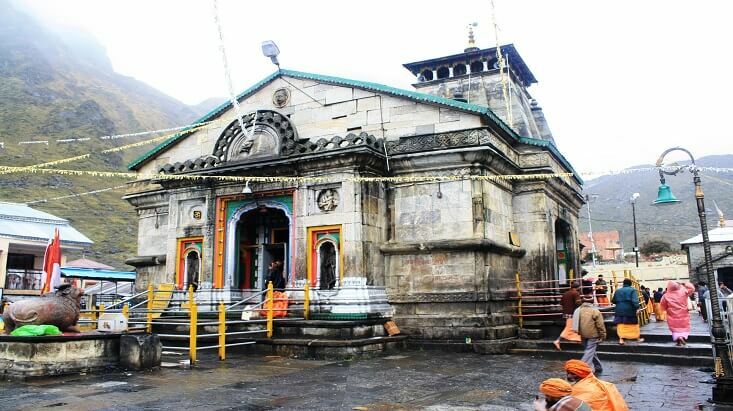 The ancient temple of Kedarnath, which is devoted to Lord Shiva, is over a thousand years old construction and is carved with massive flagstone over a large quadrilateral platform. However, the present temple was established by Adi Shankaracharya who revived the glory of this beautiful shrine. 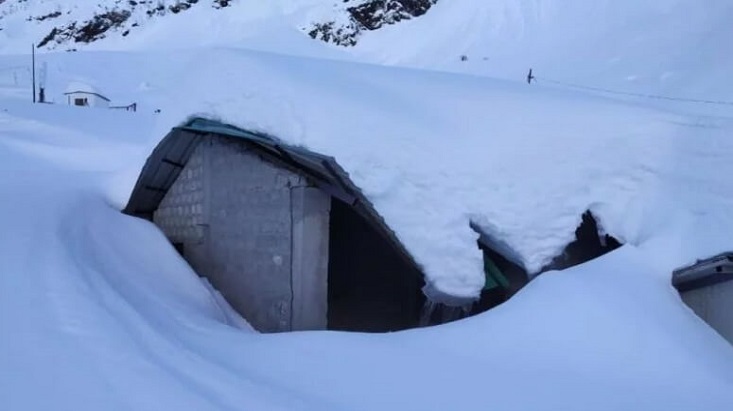 On the other hand, Badrinath (3300 m), which is also discovered by Adi Shankaracharya, is one of the most hallowed pilgrimages of Chota Char Dham which is located in the Chamoli district of the state Uttarakhand. 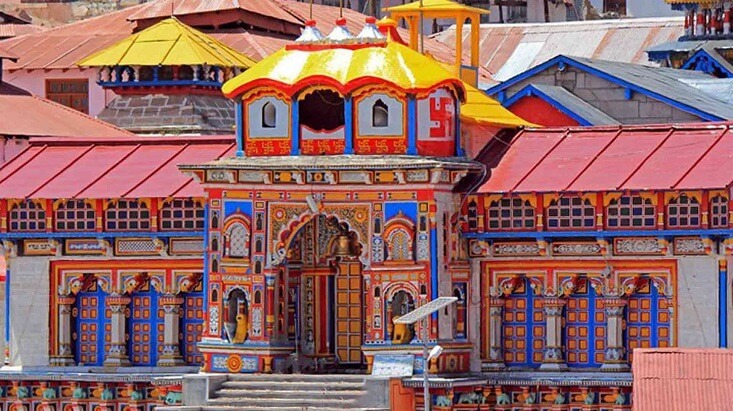 The sacred land of Badrinath is devoted to Lord Vishnu in the Hindu Scriptures. The current architecture of the temple was constructed by Kings of Garhwal and has three divisions Garbhagriha, Sabha Mandap, and Darshan Mandap. Inside the temple, there is an idol of Lord Vishnu, carved with black stone. The route to do dham yatra of Kedarnath and Badrinath are crammed with fascinating terrains, enthralling meadows and forests, steep curves, and cliffs. Our 8N/9D Kedarnath Badrinath Yatra 2019 moves through various sacred lands. This religious trip commences from the Capital, Delhi, where you’ll be picked by our executive who will take you to Haridwar. Haridwar is the first and foremost sacred land in this pilgrimage tour, where you’ll get a chance to savour the divine ambiance of this holy city. A holy dip in the sacred water of river Ganga is believed to cleanse one’s all sins. Apart from this, Evening Aarti at Har Ki Pauri is one of the famous occurrence in Haridwar where a larger chunk of devotees perform the rituals. The journey to the divine will next leads to Guptkashi – another sacred destination, known for the ancient Vishwanath Temple and will further head to Sonprayag – the base point of Kedarnath Trek. Traversing compelling grassy meadows, valleys, and forests, the trail will open to the first of do (two) dhams, Kedarnath. Savour the picture-perfect views of various Himalayan Perks including Kedarnath Dome (6940 m), Chaukhamba (7138 m), and Meeru (6660 m) from the summit of Kedarnath Dham. Till here, your half of the journey will be completed. After seeking the blessings of Lord Shiva at Kedarnath Temple, the tour will next recommence for Badrinath, in which, devotees have to trek down to Sonprayag. The route to Badrinath Yatra cuts through Rudraprayag and there to Joshimath, a place where you’ll have the chance to visit Narsingh Temple and Adi Shankaracharya Math. At Badrinath, there are a bunch of attractions that too have religious significance. Tapt Kund, Narad Kund, Mata Murti Temple, and Bhim Pul are few of those sites in Badrinath where you can spend some of your leisure time seeking spirituality. ‘The Last Village of India’ – Mana village is another important place where you can capture some mind-boggling sights before starting off your returning voyage. Tour My India being one of the paramount travel agencies in India, proffers the best Badrinath Kedarnath tour packages at superlative prices. Along with providing travellers with finest itineraries and services, we also aim at filling their tour with indelible lifetime memories and moments to cherish. 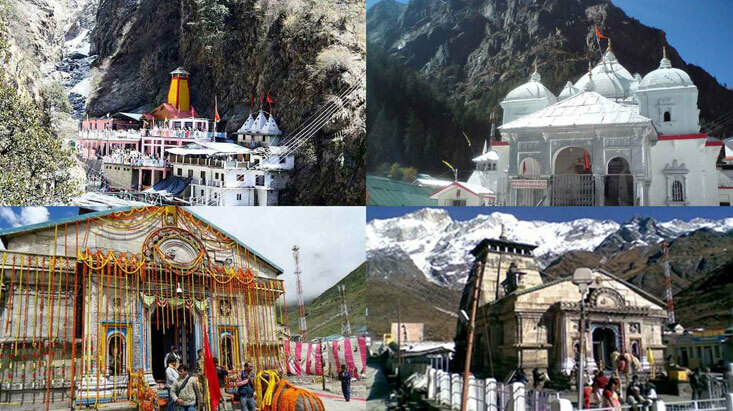 Your journey to sacred lands of Kedarnath and Badrinath starts from Delhi which also be your onward destination. In Delhi, our representative will pick you from the airport or railway station in the morning who will then take to Haridwar through a 6-hr drive. On your arrival at Haridwar, you’ll be transferred to your hotel. Thereafter, in the evening, you’ll be the part of famous evening aarti at Har Ki Pauri. After the aarti, we’ll take you back to your hotel for an overnight sleep. Morning will start with a healthy breakfast followed by a 9-hr drive to Guptkashi. After reaching there, you’ll be accommodated in your hotel for a night sleep. Meanwhile, in the evening, offer your prayers at Kashi Vishwanath Temple and Ardhnarishwar Temple. 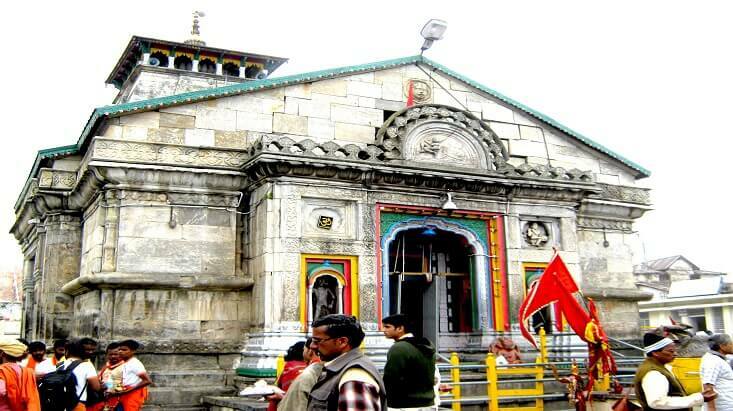 Guptkashi: Home to one of the oldest temple of Lord Shiva, Vishwanath, Guptkashi is located in the Garhwal region of Rudraprayag district. This small hamlet is also famous for its Ardhnarishwar Temple and Manikarnik Kund. The resplendent sight of Chaukhamba Peak makes Guptkashi a perfect place for sightseeing for tourists in the morning hours. Post breakfast, you’ll be taken to Sonprayag. From there, you’ll have to undergo a trekking trail which will lead you to Kedarnath Dham. Upon arrival at Kedarnath, we’ll take you to your hotel. In the evening, you’ll visit (darshan) Sh. Kedarnath and thereafter we’ll head back to the hotel for an overnight stay. 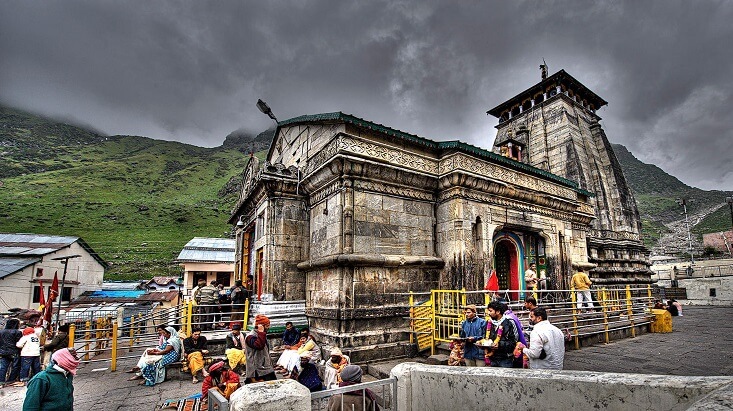 Kedarnath: One of the 12 Jyotirlinga; Char Dham; and Panch Kedar, Kedarnath is amongst the most paramount pilgrimage destinations for devotees of Lord Shiva. The temple of Kedarnath is comfortably perched at an elevation of 3583 m above the sea level and is situated near the source of River Mandakini. The town of Kedarnath boasts some compelling attractions in the form of Chorabari Tal, Vasuki Tal, Gaurikund, and Triyuginarayan Temple. After the darshan of Kedarnath Temple, we’ll recommence our yatra to Badrinath. On day 4, after the early morning pooja and darshan at Kedarnath Temple, we’ll trek down to Sonprayag where our representative will be waiting for you to take you Rudraprayag through a drive. After reaching there, you’ll be shifted to your hotel for a pleasing night sleep. In the morning, after having breakfast, en-route visit Narsing Temple at Joshimath later we’ll leave for Badrinath. Once you reach there, you’ll be taken to your hotel and then to the temple for the holy darshan. 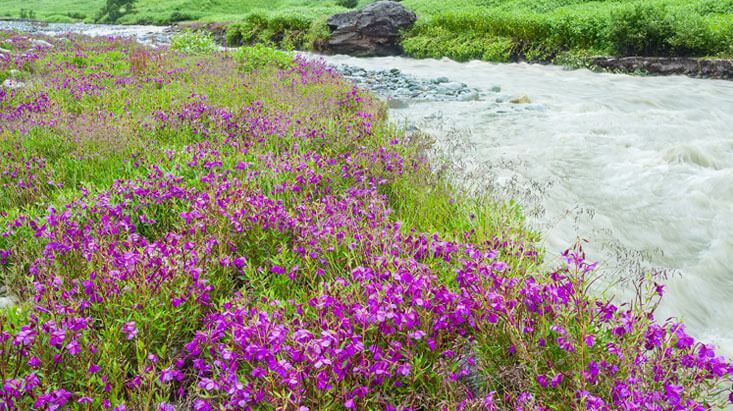 Thereafter, we’ll take you to serene destinations of Mana Village, Vyas Gufa, Bheem Pul, and Saraswati River. After covering all these destinations, you’ll be headed back to your hotel for a good overnight sleep. Tapt Kund: Said to be the abode of Goddess Agni, Tapt Kund is a natural water spring located on the bank of Alaknanda River. The water temperature of this sacred spring is 45°C. A holy dip in this natural sulphur spring is must before entering the Badrinath Temple. It is said that the water of Tapt Kund has medical properties, and thus, can cure skin diseases along with incinerating sins. Narad Kund: Located on the recess of holy river Alaknanda, Narad Kund is a water spring in Badrinath from where Adi Shankaracharya established the idol of Lord Vishnu. 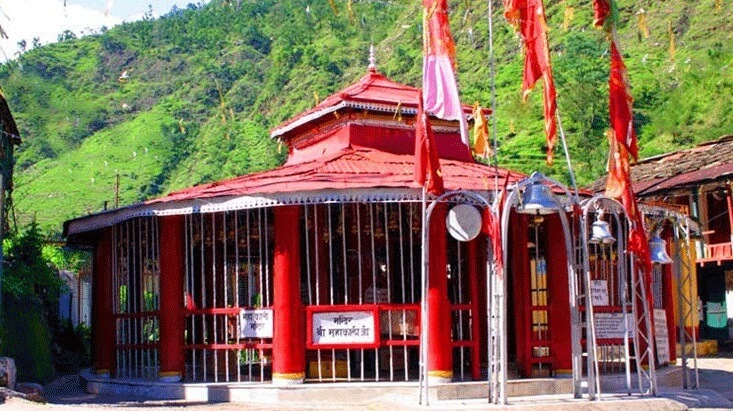 Mata Murti Temple: At a distance of 1 km from Badrinath Temple, Maa Murti Temple is located on the right bank of the river Alaknanda and is devoted to the mother of Lord Badrinath. Mana Village: Reckoned to be the last village before Tibetan border, Mana Village is a countryside property, inhabited by Indo-Mongolian tribe. The town is famous for woollen garments and materials, potatoes, and kidney beans. Bhim Pul: One of the top attractions in Mana Village, Bhim Pul is a bridge across the Saraswati River and is made up of natural stones. The legend has it that Bheem, the second of the Pandavas, made this bridge for his consort, and thus, the name Bhim Pul. Vyas Gufa: Near Mana Village, there is Vyas Gufa – an ancient cave situated on the banks of Saraswati River. In the Hindu Scriptures, Vyas Cave is said to be the place where sage Vyas with the help of Lord Ganesha composed the Mahabharata Epic. Will start with early morning pooja and darshan at the Temple. Later, after having breakfast, we’ll start our 8-hour return drive to Rudraprayag. The route of the drive cuts through Joshimath, Chamoli, and Karanprayag. As always on arrival, you’ll be transferred to your hotel for the overnight stay. In the morning of day 7 we’ll recommence our returning journey to Rishikesh via Srinagar (Garhwal). En-route of the journey, you’ll get a chance to witness holy town of Devprayag – a land where the rivers Bhagirathi and Alaknanda merges. As you’ll enter Rishikesh, we’ll directly take you to your hotel to fresh n up and thereafter, you’ill spend your evening at Laxman Jhula and Ram Jhula. After exploring Rishikesh, we’ll take you back to your hotel for a good sleep. Rishikesh: One of the most divine and spiritual city, Rishikesh is a sacred place where one can attain salvation through meditation and yoga. 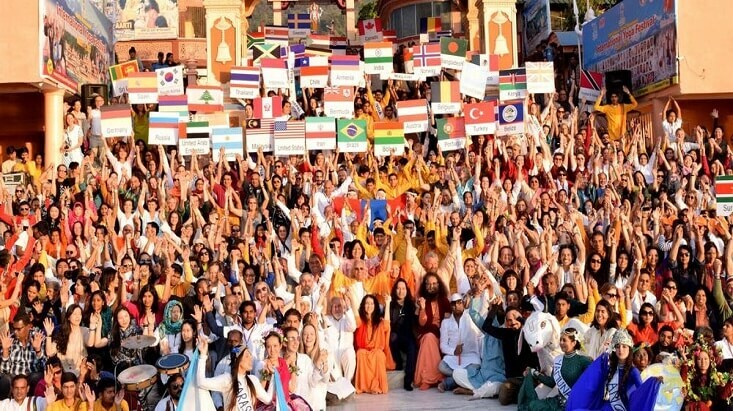 Also esteemed as ‘Yoga City’, Rishikesh boasts many ashrams and yoga institutes or centers. Not just this, the city is also a prominent destination for various adventure activities, especially river rafting. Besides, Rishikesh is also known for being a prominent gateway to Chota Char Dham – Kedarnath, Badrinath, Gangotri, and Yamunotri. Post breakfast, we’ll leave for Delhi through a 7-hr drive. On arrival, our representative will transfer you to your onward destination, i.e., airport or railway station.